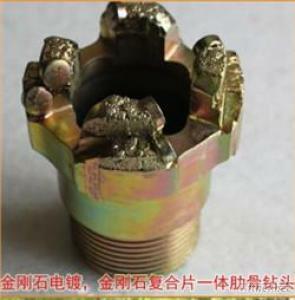 Wuhan Core-It Municipal Exploration Technology Co., Ltd.
With special high-frequency welding techniques, PDC Diamond Bit uses PDC as main cutting components, and PDC cutters are welded to the body. Meanwhile, CORE-IT adopts new patented processing method by electroplating diamond layer to the matrix. Due to its excellent wear resistant, CORE-IT PDC Diamond Core Drill Bit has high drilling efficiency and longer working life, which is mainly used for geological exploration, coal exploration, water conservancy and power engineering, etc. CORE-IT also can design PDC Diamond Core Drill Bits according to customer requirements, such as different geological condition, special strata and so on.